If you haven't tried Colostrum-LD, you haven't tried colostrum! 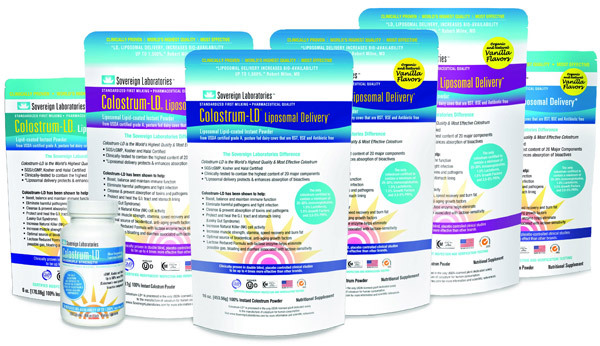 Take advantage of our Introductory Pak of Colostrum-LD Powder. Get a full 5 day supply or 50 grams (10 servings) FREE! We’ve never made this offer to first time buyers before. We believe so strongly in the results you will experience with Colostrum-LD that like us, you won’t want to go a day without it! * $6.95 shipping only available in the USA. Colostrum LD is tested for efficacy and clinically shown to help maintain a healthy G.I. tract and a healthy microbiome. Get Your Free Pak Now! Need to know more? It's simple. Any one of these common lab tests will help determine if you have a leaky gut. Your physician can help interpret the results. We are born with a "leaky gut" on purpose. We have no immune system when we are born. New mom's colostrum provides vital nutrition and helps seed the immune system with antibodies (immunoglobulins), growth factors and other proteins and peptides that help us stay healthy as we grow. However, even if you were breastfed...antibiotics, pain medications, highly processed foods, high-sugar foods, GMOs, pesticide-laden foods, contaminated water, environmental toxins, and years of poor lifestyle habits can cause your intestinal pipes to leak. When the sewage of your G.I. tract leaks into your bloodstream, your immune system, liver and kidneys kick into high gear to try and neutralize the muck. So, What Should You Do When Your Pipes Are Leaking? Call the Plumber! The best way to fix the leaky pipes in your gut is with Colostrum-LD. Our powdered colostrum supplement has been designed with the LD Liposomal Delivery™ system to help restore and maintain a healthy G.I. tract and balance your microbiome. Hippocrates said that "All disease begins in the gut." We know Colostrum-LD can change your life, and so we're offering a free trial pak to anyone who's sick and tired of being sick and tired. You pay only shipping and handling. With more than two decades of research behind our products, Colostrum-LD is the gold standard in colostrum supplements. Our proprietary liposomal delivery (LD) makes Colostrum-LD up to four times more effective than other colostrum supplements on the market today. Colostrum-LD is available in two great flavors – original and vanilla – and is Halal, Kosher, and GMP certified. Your 10-day Supply of Colostrum-LD is Yours FREE!